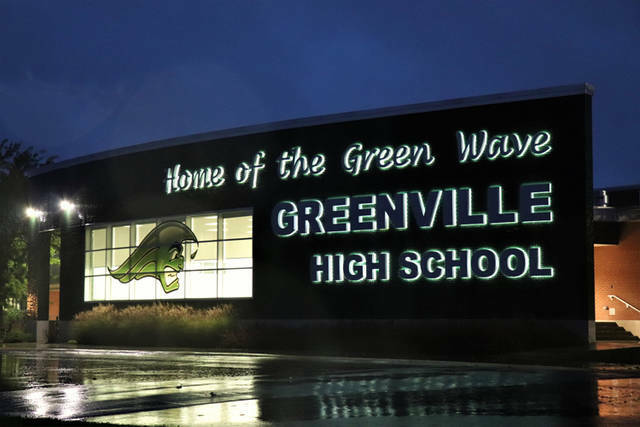 A Nissan Rogue attempting to make a left hand turn onto Greenwave Way struck a Greenville High School student in the cross walk Thursday morning, according to officers on the scene. 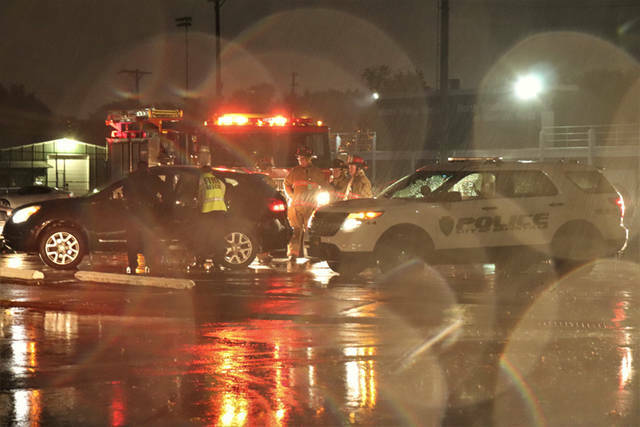 GREENVILLE – A high school student suffered minor injuries Thursday morning after being struck by a car near the Greenville High School. At approximately 7:25 a.m., Greenville Township Rescue along with Greenville City Fire Department as well as officers from the Greenville Police Department responded to the parking lot of Harmon Field on the corner of East Harmon Drive and Greenwave Way in regards to pedestrian struck by a vehicle. According to officers on the scene, a Nissan Rogue was traveling eastbound on East Harmon Drive when the driver attempted to make a left hand turn onto Greenwave Way and struck a pedestrian in the cross walk. The pedestrian, a teenage male student at Greenville High School, was treated by Greenville Township Rescue on the scene before being transported to Wayne HealthCare for what was described as minor injuries. The female driver of the Nissan Rogue, also a teenage student at the high school, was uninjured in the accident. The accident remains under investigation by the Greenville Police Department. This entry was tagged Greenville, Greenville City Fire Department, Greenville Fire Department, Greenville High School, Greenville Police Department, Greenville Township Rescue, Wayne HealthCare. Bookmark the permalink.